According to a number of complaints that can be found on Apple's Support Communities forum, a number of OS X Yosemite users have encountered some issues with Wi-Fi connectivity. The Wi-Fi connections are extremely slow or, in some cases, they disconnect within few minutes of work. It should be noted, however, that the number of users that have reported Wi-Fi issues is relatively small. 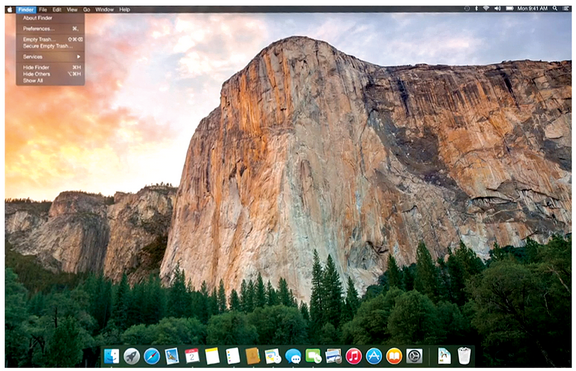 Nevertheless, I believe the guys from Cupertino should pay attention to the complaints and fix the bug inside of the recently-released OS X Yosemite as soon as possible. Users who have encountered with the Wi-Fi issue live in different countries and use different Mac or MacBook models, so the problem is probably caused by a flaw in the program code of the operating system. Since upgrading to Yosemite, my previously-stable (with Mavericks) wifi connection keeps dropping. I have to click the wifi icon and re-select my network every minute or two. I have turned off bluetooth and uninstalled/reinstalled wifi and my networks. I have rebooted multiple times. No luck so far. It appears that others are having similar problems. Have you experienced any issues with OS X Yosemite? Leave your comments below this post.